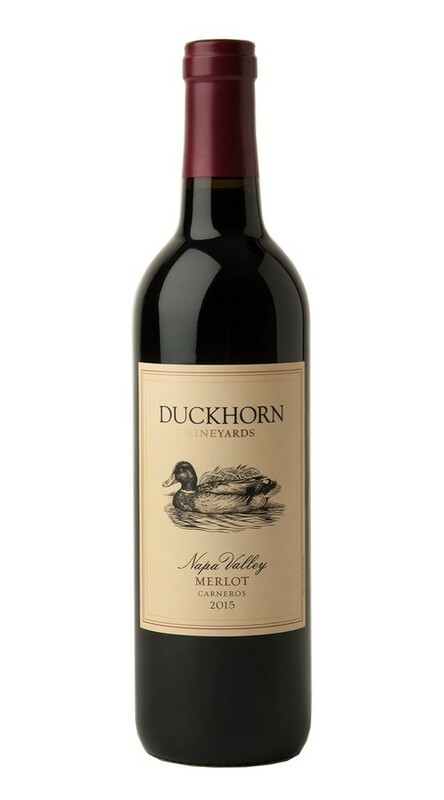 After falling in love with Merlot during a visit to Bordeaux, Dan Duckhorn started producing Duckhorn Vineyards Merlot in 1978. In the years since, grapes from the Napa portion of Carneros have played a pivotal role in our Napa Valley Merlot program. Influenced by the cooling effect of the Pacific Ocean, Carneros is ideally suited for growing exceptional Merlot, yielding a wine with beautiful structure, velvety texture and lovely layers of plum and mulberry. From its explosive layers of lush fruit to its bright acidity and impeccable structure, this wine shows why we have long prized the Merlot from Carneros. On the palate, voluptuous flavors of cherry, red plum, strawberry and currants glide across velvety tannins, with underlying notes of pomegranate, vanilla bean and graham cracker crust adding nuance and depth to a long, satisfying finish.